Time for the final review of November with just minutes to go! This time we're taking a look at an innovative Nindie release, Typoman for the Wii U eShop. Get out your thesaurus because we're goin' in hard on this game! Although Nintendo's Wii U is not jumping off store shelves or selling admirable numbers, the indie community has found a bit of a niche on its hardware and online marketplace. Nintendo's own Nindie campaign has brought a lot of lesser known developers into creating innovative and well made games to the Wii U eShop. If the name Typoman rings a bell, then you might have heard or read of it during Nintendo's Nindie campaign. After all, it was one of the games that gives a discount if you played the Nindie demo of it over the summer. That said, now that the game is out, is Typoman worth investing time in? Typoman begins with a truck dumping its haul of letters off a cliff side. In the pile of letters rolls out a letter "O" which the player quickly is able to take control of. Soon, after rolling some distance, a body is given to the letter, allowing it to hop around like a coil spring. Lastly, some legs enter into the fray, creating the titular character for the player to be able to jump, grab, and throw. 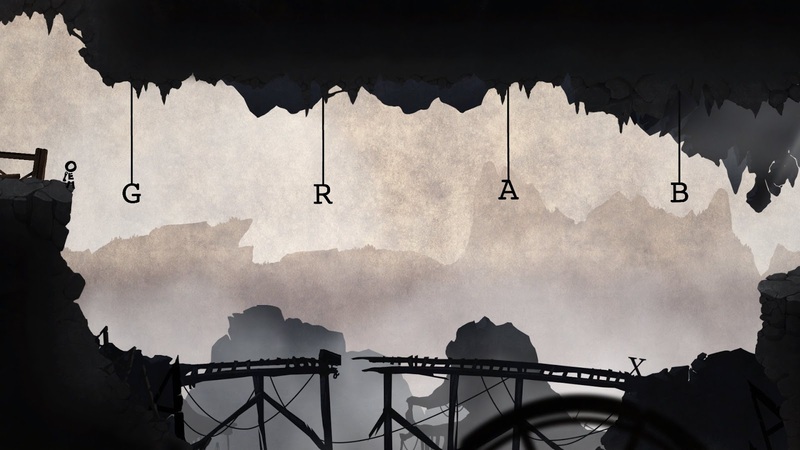 The world of Typoman is a bleak one, but somehow still there is breathtaking beauty to be discovered in the dark and dreary world of the game. There is an industrial feel to the look and feel of Typoman, and the developer certainly nailed the presentation out of the park with their effort. 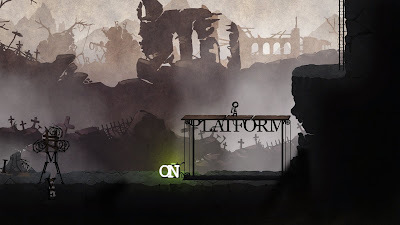 The game itself is a 2D puzzle platformer, and the main mechanic of the game is using letters in the environment to form words to make progress in the game. For instance, pushing the letters "O" and "N" to spell the word "ON" activates a platform (labeled "PLATFORM" coincidentally enough) that Typoman can ride to reach a higher area and thus progress in the level. 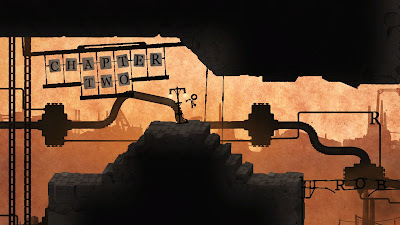 Typoman possesses a myriad of increasingly more complex puzzles, and if for some reason you find yourself stumped, you can opt to utilize the Wii U GamePad, touching the question mark icon to get a nebulous riddle which houses the word you need to create somewhere. The GamePad is also used for rearranging letters that you push together as Typoman on the TV screen. An example of such a feat occurs early on within the game, you have the letters "W", "N", "O" and "D", and you need to unscramble them to spell "DOWN" to bring a ladder downward for Typoman to climb. 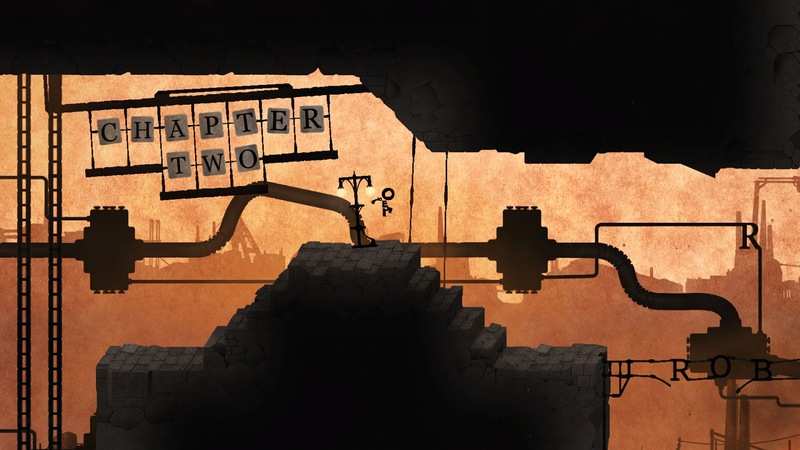 While the puzzle part of Typoman is incredibly well done and clever in almost every regard, that is but half of the game's equation. The other half is mired with clunky controls, no momentum in moving Typoman around, making jumps much more difficult than they should be, and an overabundance of undesired cheap deaths. If only the platforming were as carefully crafted as the puzzles and level design, then something truly special would Typoman be. As it is, you have a puzzler that is punctuated by poor platforming and a lot of unwanted aggravation that's challenging for all the wrong reasons. ...and your finger-fu to get through the platforming parts. Thankfully, Typoman's checkpoints distribution is in each player's favor. There are a grand amount of checkpoint locations happening after every section of a given level. While sometimes you'll have to redo some tedious letter shifting, pushing, and pulling when you return to life, most of the time things aren't so rough. The game's total play time depends on your skill level, how often you get stuck on a particular puzzle or platforming challenge, and whether or not you decide to marvel at the visuals or not. That said, even if you struggle, Typoman is a short experience, as there are seemingly no extras to be found. It's also one that is only friendly to those who are keen on the English language in order to solve its many puzzles. Therefore, Typoman is a bit hard to recommend with full enthusiasm. I love the premise and the central word-building mechanic of the game. However, the poor platforming and short play time, particularly for the price, makes Typoman a game that isn't the bets... er... best. Sorry. Typo. Review copy provided by Headup Games.